Paula Josa-Jones is a dancer, choreographer, and movement educator known for her visually rich, emotionally charged dance theater. Her work includes choreography for humans, as well as inter-species work with horses, dancers, and riders, and work in film and video. Josa-Jones has been called “one of the country’s leading choreographic conceptualists” by The Boston Globe and The Village Voice describes her work as “powerful, eccentric, and surreal.” Her dances have been produced in Russia, Europe, Mexico, and throughout the United States. Josa-Jones has taught in the dance programs at Tufts University, Boston University, and other colleges, universities, and dance festivals nationally and internationally. She is a Certified Laban Movement Analyst, Somatic Experiencing® practitioner, and a Registered Somatic Movement Educator and Therapist (RSMET). She is also a TTEAM (Tellington Touch Equine Awareness Method) practitioner. Josa-Jones is an avid horsewoman with a deep love and appreciation for her horse partners Amadeo, Capprichio, and Sanne. 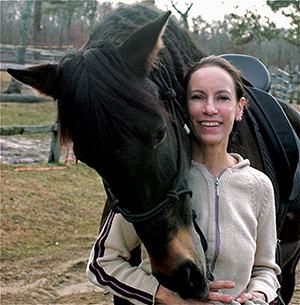 She works with individual clients and teaches workshops, focusing on the human-horse bond, and the wisdom of the moving body (paulajosajones.org).